The Walt Disney Company signed the deal with the Shanghai Shen Di Group Co., which is the parnership company that was formed to facilitate the creation of Shanghai Disneyland. The terms of the deal are said to be very similar to the Hong Kong Disneyland deal, but with the local government having more scrutiny when agreeing on the final plans of the park. The mistakes made in Disney's other Chinese park are to be avoided. The officials/suits of Shanghai expect this and Iger's management team understands this. 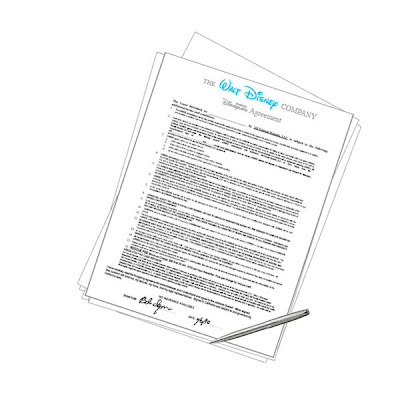 Well, that makes it, what, the fifteenth "official" signed deal since Disney has been in negotiations with China? It seams that every other month there is some "step" in the negotiations. When will the whole package be completely agreed upon and work actually commence?